The Snack and light meal Bar ‘La Solera’ is a refreshment spot, Open all Day. 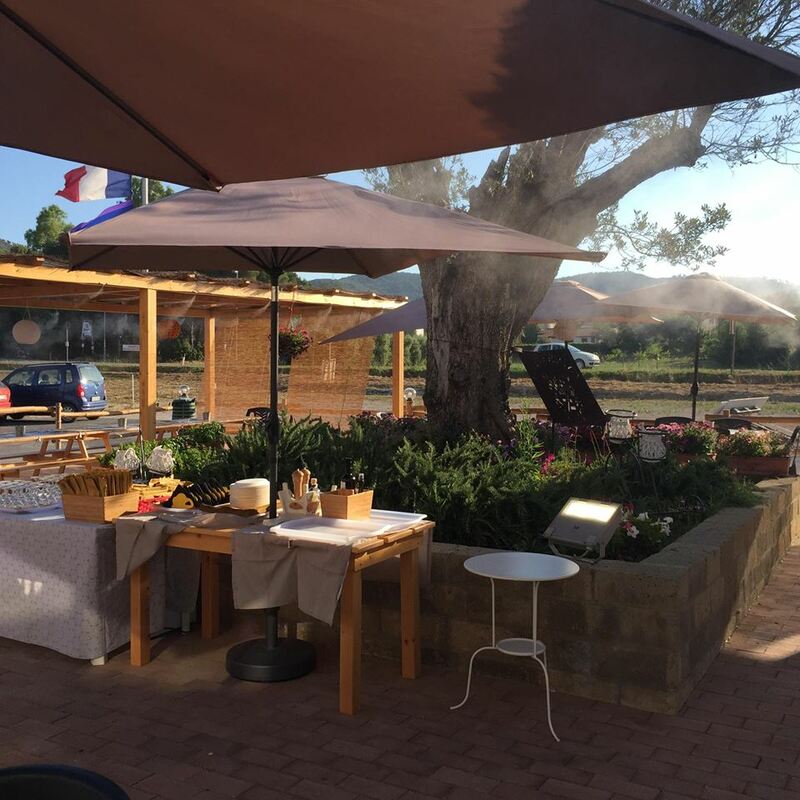 Here you can stop to eat or to taste typical Tuscan products accompanied by a good glass of wine from this area or choose from the many Italian labels in the wine shop. La Solera has 2 areas: one indoor (air conditioned) and the other outdoor. The outdoor one is immersed in the countryside on the road into and out of Piombino. There are the ‘Taglieri’ (chopping boards) dressed in typical Tuscan specialities: cheeses, Italian cold meats and there is also a large choice of fresh dishes of the day, prepared by our Chef. All this is achieved through the valuable collaboration of our staff who are always there to welcome our guests and show them the different qualities and tastes of our special products.